The Village Membership Drive - What's it All About? 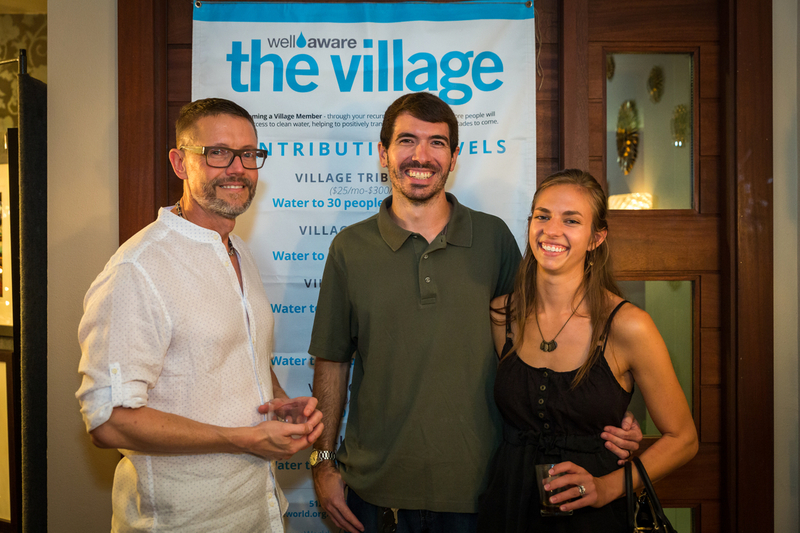 If you know us well, you’ve probably heard us talk about The Well Aware Village (once, or twice or 500 times). The Village is our devoted community of monthly or yearly recurring donors. 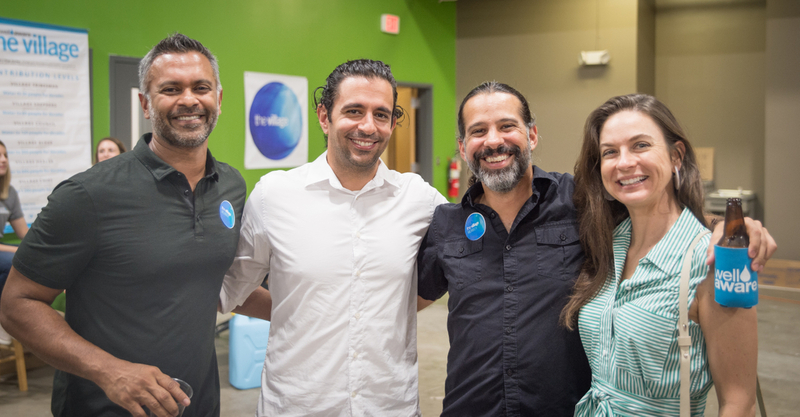 These inspiring supporters are truly the backbone of our clean water projects. They provide the sustainable funding we need to forecast more projects, scale impact, and improve budgeting. The Village began in 2012 with only a handful of loyal supporters. It grew to 150 members as of August 2018, with members donating between $10 to $1,000 per month (or the equivalent yearly amount). Thus far, the Village alone has raised over $250,000 and transformed 25,000 lives. This growth is powered, in part, by our annual Village Membership Drive, where we highlight current Village members, empower them to recruit new ones, and focus on celebrating the impact the Village has affected. In addition - we have generous donors who match our Village drive. This year, every signup or Village level increase was matched by our incredible friend, Alan Blake. Our drive this year was a two-week campaign. It kicked off with a special, private event - The Heart of H2O - hosted by board member Meredith Delk. Guests included 75 of her friends and related networks. This event was an intimate, inspiring evening filled with discussions about the reality of life without clean water and the ways that the Village truly changes people’s futures. Greg Davis showcased his mesmerizing photos from his trips to Kenya with Well Aware, and Graham Wilkinson graced us with a musical performance that stirred our spirits and drew us together. We had a record number of 6 new Village sign-ups at any single event and started the Village Membership Drive with energized hearts and engaged minds. From there, we went right into the usual campaign activities - emails, texts, social media posts. Our campaign success is marked by a set goal of reaching a certain number of new members or increased member signups. In order to reach potential supporters, we ask current members to help us find new, amazing people like them to join The Village. In doing so, a major piece of the Membership Drive is devoted to publicly recognizing a handful of our current Village members as the super-humans they are. On social media, we share “Humans of New York” style highlights and quotes of what motivated individuals to join us, and how it has positively influenced their lives. 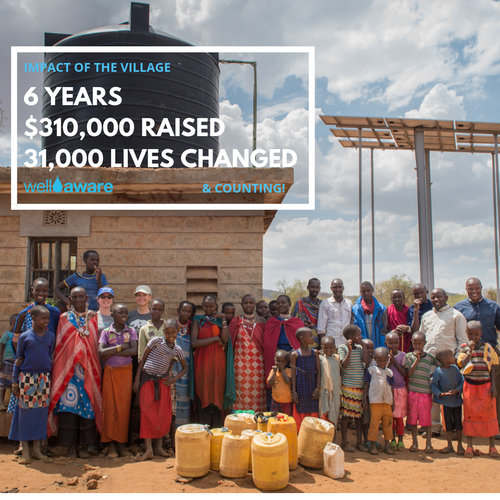 Apart from focusing on the “who” of the Village Members, another main component of the Membership Drive emphasizes the “who” of the program’s namesake - the people in the villages in East Africa with whom we partner. We share impact stories from communities where clean water systems have already been installed and introduce the communities where clean water projects are still in need of funding. In doing so, potential Village members can see the transformation that will be affected by their contributions. After two weeks of campaigning on and offline, we rounded out the Village Membership Drive with a happy hour at our partner Thirsty Planet Brewing’s newest facility on South Congress. A grand total of $37,480 more Village donations per year! Although we are moving on from the Village Membership Drive, we will forever and always highlight the Village year-round. All of this growth is so incredible - but, we can’t stop there. Why? Because there are so many more people that lack clean water, who need our support. Thank you to every one of our Village members, supporters, employees, Board Members, and friends of friends for making this the most successful Village Membership Drive in Well Aware history. And, for continuing to inspire us with your devoted passion to our clean water projects.